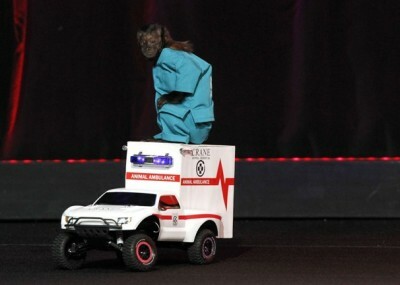 NBC showed the pilot of Animal Practice during the Olympics to great ratings. Unfortunately, that may not translate into many viewers for the TV show’s timeslot premiere a week later. How did this monkey-starring sitcom do? Based on the fast affiliate ratings, Animal Practice attracted a dismal 1.4 rating in the 18-49 demographic with 5.19 million total viewers. It was fourth in its timeslot in both categories, airing opposite ABC’s The Middle, CBS’ Survivor, FOX’s The X Factor and (last place) Oh Sit! on The CW. Year-to-year, compared to the second week of Up All Night, the network was down by 42% in the demo (vs a 2.4 rating) and down by 14% in viewership (vs 6.05 million). Not good. Interestingly, Animal Practice beat last Thursday’s second season premiere of Up All Night (1.3 in the demo with 3.11 million) which shows how much steam the latter sitcom has lost. Though Animal Practice has some formidable competition, this is still a very disappointing timeslot debut. It’s a sure bet that Animal Practice will be cancelled when the time comes. Considering NBC’s other ratings woes however, the network probably won’t pull the trigger soon. What do you think? Did you watch Animal Practice last night? Will you be tuning in to watch it again? Is it better than people think it is? 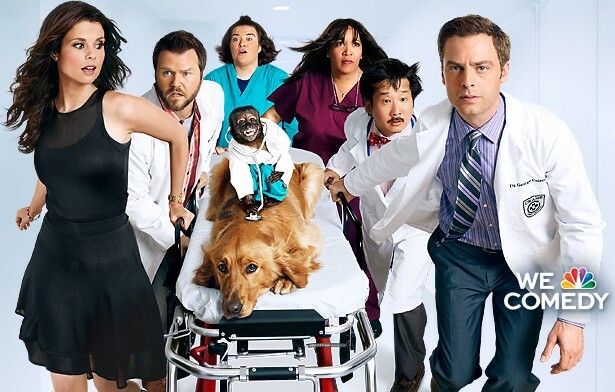 Animal Practice: New NBC Sitcom; Is it Worth Watching? Animal Practice: Cancelled Quickly or a Big Hit? I give it three episodes before NBC pulls the plug.